CMALT is the professional accreditation scheme developed by ALT (the Association for Learning Technology) for anyone whose work involves learning technology. Accreditation is achieved by successful submission of a reflective, online portfolio, which evidences skills and experience in learning technology across four core areas and a specialist area. 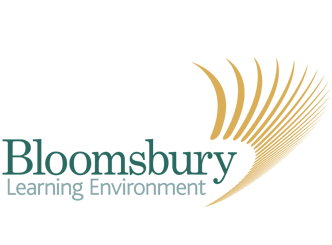 UCL staff can undertake CMALT accreditation with the Bloomsbury Learning Environment partners. In the past three years, over 50 staff members have set off on their CMALT voyage with the BLE – many have now achieved their CMALT accreditation. Previous cohorts have comprised academics, librarians, learning technologists, careers advisers and professional support staff who all have a strong interest in learning technology. You can view further details about CMALT on the ALT website. there is also this handy document for a brief overview. An introductory meeting was held in Bloomsbury on Thursday 19th July to explain further what accreditation means and what is involved in achieving it. You can watch a recording of this introductory meeting or view the slides. Interested in joining the 2018-19 cohort? Please confirm your intent to register by completing the registration form by Friday 31st August. You will be sent an introductory welcome email from ALT with links to all relevant documents. You will also then be given access to the BLE CMALT course on Moodle and added to the BLE CMALT mailing list. The cohort will meet monthly on the first Wednesday of the month during lunch time; the first meeting will take place on Wednesday 5th September, 1230-1430 in Bloomsbury. Registration is usually £150 per person. However, for groups of between 5 and 9 candidates, ALT offers 10% off each registration, which would be £135. For groups of 10+ they offer 20% off each registration, which would be £120., I will be able to confirm the fees once we reach those thresholds. If you have any questions, please feel free to contact Sarah Sherman, BLE Service Manager directly. Do you use Moodle, Turnitin, Lecturecast, Opinio, My Portfolio, the UCL Wiki? Do you use Email, text, Facebook to contact students, do you read or contribute to blogs or Twitter etc. or use other technologies to support the student learning experience? If so, why not try UCL UCL’s professional portfolio in e-learning? Now in its fifth year at UCL, CMALT is a chance to learn about, share and implement good practice in the wide range of technologies that support our students’ teaching and learning. “Working together with colleagues from across UCL was helpful in terms of discovering and developing good practice”. 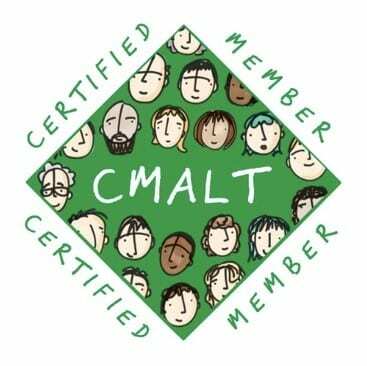 CMALT is a national peer-based professional accreditation scheme developed by the Association for Learning Technology (ALT) and an opportunity to certify your growing skills and experience in learning technology. Completion of a descriptive and reflective portfolio of about 3,000 words, demonstrating your knowledge in four core areas: operational issues (constraints/benefits of different technologies, technical knowledge and deployment); teaching, learning and/or assessment processes; the wider context of legislation, policies and standards and communication/working with others, plus one specialist option subject. We will run monthly workshops to discuss and work on the core areas of your portfolio, and provide you with a mentor from our team to support you as you complete your certification portfolio. It takes about six months from start to submission and it takes around 25-35 hours in all to complete including around 15 hours contact time. The 2016 cohort will start in February 2016. It costs £120 to register as a CMALT candidate under the UCL scheme (normally £150). In many cases the candidate’s department covers this fee. This is an excellent opportunity to support your professional development with lots of support available. How can you teach online if you’ve never experienced learning online? 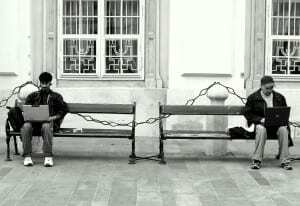 Distance Learning doesn’t need to be lonely. You must try it. I’d also recommend absorbing what’s around you as well – talk colleagues already active in this space, look for existing resources and participate in relevant networking events. But crucially; join an online course, or ten, and experience it yourself. There is a growing range of free online courses in which you can use to experience being an online learner. The huge selection of free open courses can be searched and filtered by using Mooc aggregators such as Course Talk, Class-Central and Mooc-list. UCL has a partnership with a UK-based Mooc provider FutureLearn and has a growing selection of courses. But you should explore other courses too and you should feel free to sign up for any that interest you – even if you don’t complete them (it’s OK!). Closer to home there’s also a selection of courses on UCLeXtend – UCL’s public-facing e-learning platform – which you can discover from searching the Life Learning course finder and filtering (on the left) to Format > Online and Cost > Free. Getting started with Moodle (via UCL Moodle) provides an introduction to UCL Moodle and e-learning and provides the basic skills required to set up a course in Moodle. 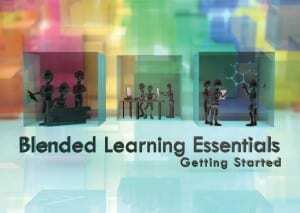 Blended Learning Essentials (via FutureLearn) – created in partnership with UCL and University of Leeds, this is a free online course designed to help you understand the benefits of blended learning and how to make more effective use of technology to support your learners. UCL Arena Digital (via UCL Moodle) – three short courses with each lasting two weeks. Each fortnight will end with a live online webinar where you can share your experiences with your colleagues on the course. Topics: multimedia, communication & assessment and feedback. Teaching online open course (via Brookes.ac.uk) – offered as a free mooc from Oxford Brookes University (and offered as a 10 M-Level credit option, if desired) and is an intensive introduction to supporting student learning in online environments. Your mooc mission: try to complete one mooc. Sounds easy? Tell us how you got on in the comments section below. Venturing into the world of distance learning is a bit different to that of face to face teaching and you may want to seek guidance from those who have already trodden the ground before you. Within your department you may know colleagues who are running their own distance learning courses, there should be someone within your wider faculty or school. If not, you could look at UCL’s Prospective Student’s course finder for PGT and filter by ‘Distance Learning’ – then try contacting a course team from there. We also run regularly ‘Forum’ events (sign up to the ‘Distance Learning and Life Learning Network’ below). With representation from all schools the Distance Learning and Life Learning Forum is a community of practitioners from across UCL who are all active in the area of fully online courses and blended learning for taught programmes and CPD/short courses. Or, you may want to form your own departmental, faculty or school-based distance learning groups. These may grow from the ground up, out of teaching committees or via many other ways. Regardless, if you would like UCL Digital Education or CALT to sit on these groups, do get in touch and we can come along too. For more information we recommend you sign up to the Distance Learning and Life Learning Forum. Note: This can only be done on the UCL network or via remote desktop/VPN. Teams such as Centre for Advancing Learning and Teaching (CALT) and UCL Digital Education have trodden this ground before, and are always happy to hear your ideas, share experiences and help you design, plan, promote, develop and evaluate your distance learning courses. They will listen to your ideas and suggest others to talk to, approaches to take, resources to work through and even courses you can take online to get you started with distance learning. So – ready for your mission? If you have any questions you can always contact us, or leave a comment below. Note: this page is an excerpt from the UCL Distance Learning wiki which contains more pages on planning, designing, building and teaching on an online course. Rowntree, D. (1992). Exploring Open and Distance Learning. Kogan Page. UCL Arena Digital Unit 3: How can we involve students with Campus Pack blogs, wikis and podcasts? Update July 2017: Please note that the ability to add new instances of Campus Pack tools in UCL Moodle has been removed as part of the this year’s Moodle upgrade. The page below is for reference, and staff should see our Campus Pack Guidance page for more information on possible alternative tools that offer similar functionality. A new unit of UCL Arena Digital is coming! There will be some new additions to UCL Moodle from September 2015. Campus Pack will provide a suite of tools comprising blogs, journals, wikis and podcasts that can be used to support students’ reflective, social learning and collaboration, as well as enabling tutors and students to record audio directly into Moodle. This unit will guide you through these new Moodle tools, and discuss ways of using them in your teaching. The unit will last two weeks, taking 1-2 hours of your time, culminating in an interactive webinar which will allow you to explore advanced features and take a look at what colleagues are already doing with the tools. UCL Arena Digital Unit 3 will run ‪October 19th – 30th 2015. Live webinar Wednesday 28st October 2015 2 – 3 pm.